Black walnuts are sometimes known as "killer trees." Although some farmers grow stands of black walnut for wood that can produce long, straight boards and material for furniture, the trees also produce a chemical called juglone. 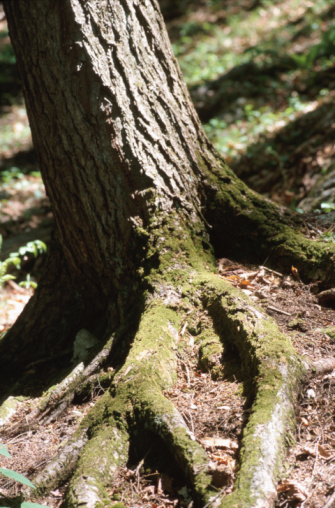 In your landscape, juglone can poison the soil and prevent other plants from growing near the tree. If you want to rid yourself of a walnut tree, cutting it down may not be enough. Surviving walnut roots can still produce juglone and kill other plants. Instead, you must completely kill the tree. One way to do this is to girdle the walnut tree's trunk. 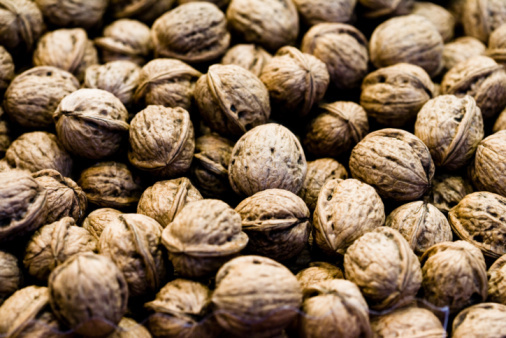 Walnut trees produce nuts, as well as a toxic substance known as juglone. Mark a spot on your tree at a point 4 feet above the ground using chalk and a measuring tape. The chalk will help to guide you when you girdle the tree. Cut a ring through the bark and into the tree using a hatchet. This ring should be about 2 inches wide and 2 inches deep. A tree such as a walnut has its vascular system within the bark. By cutting the ring through the bark, you will interrupt the tree's vascular system and slowly kill the tree. Cut a second ring into the bark at a point on the tree's trunk 4 inches above the first. Spray the trunk over the girdling marks with a product containing glyphosate. Glyphosate is a systemic herbicide. When you use glyphosate, the walnut will pull the herbicide into the rest of its system, which will kill the roots of the walnut tree.